Uniline – this is a company which operates in many cities in Croatia like Pula, Zadar, Zagreb, Split, Dubrovnik and of course Porec. The company offers a whole range of vehicles for rental, from cheap cars to the luxurious ones or even vans. You have the possibility to choose between a stick shift car and an automatic. The offer includes child car seats as additional equipment. STOP rent-a-car – is a company which covers the whole country. It has 120 vehicles in its offer with an average age of 6 months. The services offered by this company are: rent a car, passenger transfers, luxury vehicles rental, quad and scooter rental, fly and drive service, drop off service in Europe, pick up and drop off on your address, daily, weekly, monthly rents, individual drive, VIP individual drive with luxury cars. City Rent – covers the region of Istria. It operates in the cities of Rijeka, Porec, Pula and Labin. The offer includes all types of vehicles like cars, commercial vans and combined. It also includes short and long term rentals. Greenway – this is a tourist agency and a car rental company. Their offer includes a large selection of different types of vehicles, drop off service, renting additional equipment like child car seats, GPS device, personalized car hire service, mini vans rental, scooter and bike rental. 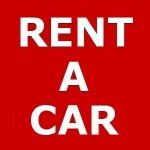 Some other car rental companies in Porec are: VETURA rent-a-car, PARENZO rent-a-car, ISTRAVETURA rent-a-car.